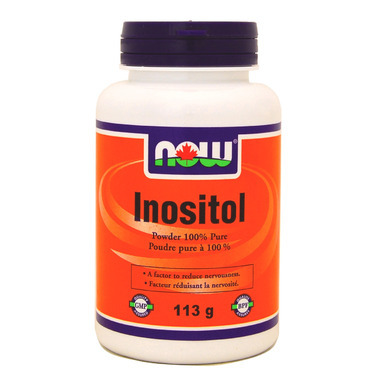 Inositol is a nutrient that's considered a member of the B-vitamin family. Inositol is an essential component of all cell membranes, where it functions as a cell signaling molecule and aids in the metabolism of fatty acids. It is an important foundational nutrient for a natural mood balance protocol. Suggested Usage: As a dietary supplement, take 1/4 level teaspoon 1 to 3 times daily, preferably with meals. Great product. High quality. I put the dose in my mouth and drink a little water with it, instead of mixing before hand. Dissolves quickly, has a slightly sweet taste. I would like a bigger volume container thought. 113g doesn't last long at all.